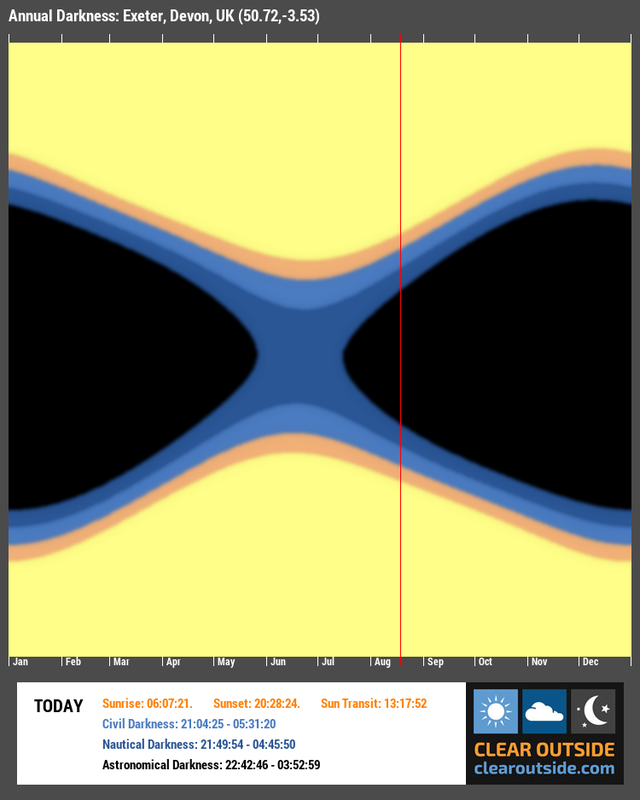 See how the sun’s rise/set times for your location change over the course of a year. Shows civil, nautical and astronomical darkness. Refreshes hourly. Daylight saving time is not shown.